September 24, 2015: The Brooklyn Daily Eagle featured the VLP’s National Grid Foundation Senior Legal Education and Assistance Program (“Senior LEAP”) through the lens of Robin Goeman, a long-time VLP volunteer and elder rights advocate. See what the Daily Eagle said about the importance of educating the elderly on critical life planning issues. Volunteers make scheduled presentations at senior centers across Brooklyn to teach the elderly about the importance of advance medical directives such as health care proxies, powers of attorney, wills, and pooled income trusts. Following presentations, a question and answer session identifies other areas of concern to seniors. Follow-up appointments may be made with seniors who have specific legal issues and meet the VLP financial eligibility criteria. Since the beginning of 2015, VLP volunteers have made 26 presentations to 675 Brooklyn seniors. 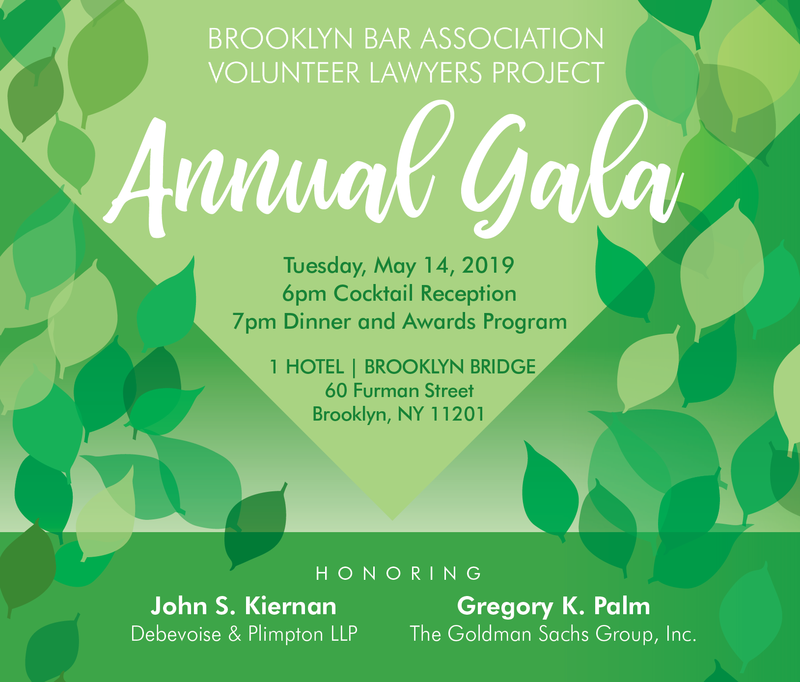 In honor of this special anniversary, the Brooklyn Bar Association Volunteer Lawyers Project (“VLP”) highlights some of the remarkable volunteer attorneys whose pro bono work can be seen in the strength of the VLP today. The VLP model harnesses the talent of local professionals to make access to justice a reality for our clients. We could simply not do this without volunteers like those featured below. Celebrate your contribution to the VLP’s 25 years–read the inspiring stories of highlighted volunteers at different points in the VLP’s 25-year history and commit to 25 dollars a month in their honor. Charles E. Coleman, Esq. is a Professor Emeritus, who continues as an adjunct teaching at New York City College of Technology, CUNY. Charles has been doing volunteer work since the mid-1980s, first with the New York County Lawyers Association, assisting AIDS patients with credit and estate matters. He helped to organize a legal clinic, staffed by an all-attorney faculty and students, for indigent senior citizens in his college’s Department of Law and Paralegal Studies in 1990. Charles has been volunteering weekly at the VLP offices since the spring of 2006, representing and assisting pro se clients with uncontested divorces. Charles has also participated in the VLP’s National Grid Senior Legal Education and Assistance Program (“Senior LEAP) and the Civil Legal Advice and Resource Office (“CLARO”) clinic for pro se debtor litigants. He received his BS degree in Criminal Justice from John Jay College of Criminal Justice, his MS degree in Urban Affairs from Hunter College and his JD degree from St. John’s University in 1986. VLP: Please give a brief description of your work prior to your time at the VLP. CC: Since 1988, I was the second of two founding faculty and have been teaching in the Law and Paralegal Studies Department of one of CUNY’s senior colleges – NYC College of Technology. During part of my 18 years there, I served as chair of that department. Prior to teaching I began volunteering during the height of the AIDS crisis by doing estate planning and dealing with debt collectors for clients of the New York County Lawyers Association/Gay Men’s Health Crisis. Shortly after joining the college faculty, we began giving open forum lectures for the public in various areas of law, utilizing skilled volunteer practitioners in those areas. Mainly we did wills, powers of attorney, health care proxies and uncontested divorces. VLP: How did you get involved with the VLP? 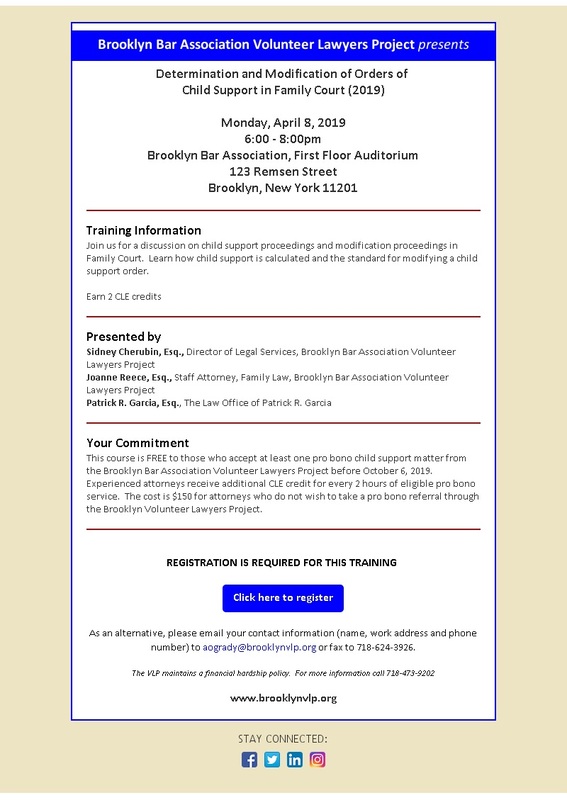 CC: As a member of the Brooklyn Bar Association in the early 90’s I heard about the Volunteer Lawyers Project and approached them seeking to collaborate in the areas we undertook. We began accepting referrals from the VLP which vetted the clients so we could be sure we were only accepting those who really needed our help. When I resigned from the college, I decided to continue to teach on a part time basis and to expand my personal association with the VLP. This was only natural since I enjoyed doing both. I approached the VLP and, thus, occupy their offices one day each week. VLP: Why do you do pro bono work? CC: There are so many people who need legal help. There are not enough helpers. Those who provide that help are not taking clients from anyone. Those helped simply would do without and continue to be taken advantage of or not be able to prepare for their own and their families’ futures because of their circumstances. Although it is sometimes heartbreaking to hear some of our clients’ stories, it is exhilarating to the nth degree to welcome the thanks from those whom we help and see them begin to get on with their lives. VLP: What do you gain as a volunteer for the VLP? CC: For those just entering the practice of law and for those established or retiring, the satisfaction of really doing something to improve people’s lives might be enough. As a more practical matter in terms of making a living, the skills learned in practicing law and dealing with real clients is invaluable. In addition, meeting with other attorneys and interacting with others involved in the court system and the delivery of justice is something that would come a lot slower otherwise. The pro bono clients may also remember how you helped them and come as a paying client in the future and will certainly recommend you to others. Fern J. Finkel is an elder law attorney at the firm Finkel and Fernandez in downtown Brooklyn. She has specialized in elder law and guardianship since 1998 and been in private practice since 1990. Prior to establishing her private practice, Fern was a litigator specializing in medical malpractice and personal injury at the law firm of Damashek, Godosky and Gentile. Fern graduated with honors from New York University College of Business and Public Administration in 1981. She received her Juris Doctor Degree from Boston University School of Law in 1984. As part of her private practice, Fern spends a significant amount of time working pro bono on behalf of the indigent elderly of Brooklyn. She has spearheaded the VLP’s National Grid Foundation Senior Legal Education and Assistance Project (“Senior LEAP”) at the Brooklyn Bar Association Volunteer Lawyers Project, of which she is a Board Member. 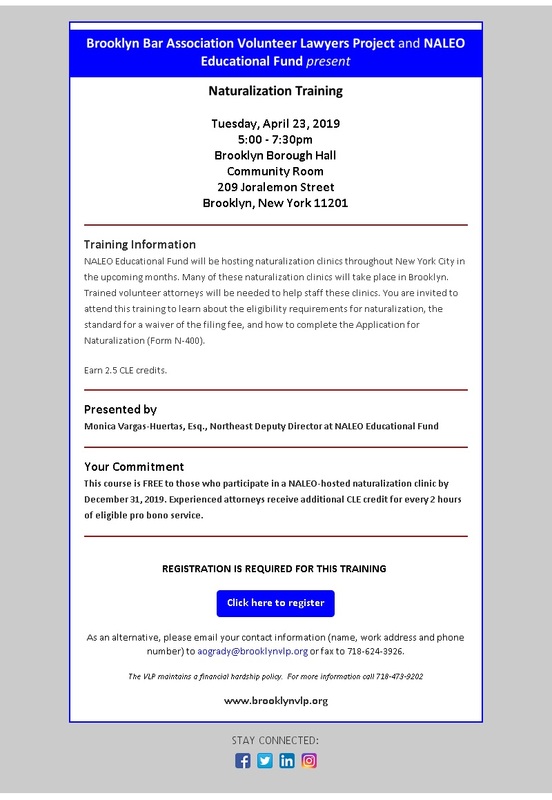 Senior LEAP is dedicated to training attorneys to perform outreach at community and senior centers throughout Brooklyn, with a focus on assisting seniors to have their health care proxies and advance directives in place, avoiding the painful process of guardianship which might otherwise result. Fern is the Chair of the Foundation Law Committee of the Brooklyn Bar Association, the Vice Chair of the Elder Law Committee of the Brooklyn Bar Association, a delegate to the New York State Bar Association Elder Law Section where she serves as Vice Chair of the Guardianship Committee, and a board member of Legal Services New York City where she also serves on the executive board. Fern served for years as a volunteer certified mediator with Safe Horizons for community disputes, PINS cases and custody matters, as well as with the United States District Court, Eastern District. Fern lectures for various bar associations on topics including the Role of the Guardian, Role of the Court Evaluator, Role of the Attorney for the Alleged Incapacitated Person, Advance Directives and Guardianship. Since 2004 she has served as a mentor attorney at the Elder Law Clinic at New York Law School. She is a co-facilitator of the Working Model of Guardianship- WINGS [Working Interdisciplinary Network of Guardianship Stakeholders] and serves on the Committees on Character and Fitness for the Second Judicial Department. She was listed as a New York Super Lawyer in the field of elder law in 2014 and 2015. Fern has won numerous awards for her pro bono service, including the Brooklyn Bar Association Frieda S. Nisnewitz Award for Pro Bono Service (1996), an Award of Merit from the National Center for Missing and Exploited Children (1997), the New York State Bar Association Pro Bono Award for the Second Judicial District (2003), the Women’s Bar Association of the State of New York Hanna S. Cohn Pro Bono Award (2004), the Brooklyn Bar Association Distinguished Service Award (2009) and (2013) and the VLP’s Building Bridges Leadership Award (2013). VLP: Tell us about yourself. What is the nature of your practice? FF: I am an elder law and special needs attorney. I graduated from Boston University School of Law in 1984. My first career, as a medical malpractice attorney, was richly rewarding, and taught me how to think on my feet and try a case. This has been invaluable as part of my practice is contested guardianships. VLP: How did you first get involved with the Brooklyn VLP? FF: I had three babies in a row, and didn’t want to return to trying cases full time at that time. So I decided to open a home office and do per diem work. I learned about a pro bono opportunity to shadow an elder law attorney at a senior center, where I met the incomparable Geraldine Kennedy from Brooklyn Legal Services. She took me under her wing and taught me an entire new field of law. VLP: Has your work at the VLP assisted you professionally? FF: If not for the VLP, I would not have had the exposure to elder law, the mentoring, to enable me to shift fields and reinvent my professional career. The VLP helped me grow into the elder law attorney I am today. VLP: Why do you continue to do pro bono at the Brooklyn VLP? FF: Little to me is more rewarding than making a difference to those that need it. VLP: What advice would you give to law students or recent law graduates? FF: Find what you love and follow your passion. You may not get your dream job; it’s a hard market today and what we envision doing upon graduation may not happen. Supplement your experience with pro bono service. The need is great, and the benefits are plentiful. You will meet like-minded people, learn from those that will mentor you, branch out professionally, and expand your knowledge. VLP: Why is it important to do pro bono work? FF: There is a world of hurt and injustice. Access to legal services is simply not sufficient; attorneys charge heavily, and the free public programs often have long wait lists and criteria for getting assistance many cannot meet. Pro bono helps fill that gap. On a personal and professional level, I believe my pro bono service helped make me the attorney I am today. It sounds like a cliche, but I live by the words: “the more you give, the more you get back.” This holds true not on a day to day basis, but over the course of a lifetime, and over the span of the years in private practice. I speak with colleagues who ask me how to go about growing their practice, and I always tell them to volunteer. Some tell me they can’t afford to; I often tell them they can’t afford not to. VLP: Can you share any VLP success stories? FF: How much time do you have? From getting a three year old kidnapped child back to her impoverished mother in Poland by bringing a Hague petition, to soothing an octogenarian’s heart by having her only child’s gravestone engraving raised to the top of the stone so she could see the words “beloved daughter” when she visited without the grass covering the letters, to getting benefits for my clients who otherwise had to choose between medication and food, to getting safe discharge plans in place so my seniors could go home and not spend their lives in nursing homes…it goes on and on and on…. VLP: What can you take from earlier experiences at the VLP and what has meant the most to you? FF: I believe I am an elder law attorney because of my experience at the VLP. Elder Law wasn’t even a course offered in law school; it wasn’t a field of practice one specialized in. As it emerged from strictly conservatorship to Article 81 guardianship and grew as an area of practice, I learned and grew by having the mentorship and opportunities provided by the VLP. I owe much of the success of my practice to the VLP, to Brooklyn Legal Services and Geraldine Kennedy. Born and raised in Brooklyn, Daniel Gershburg always had an entrepreneurial spirit. After graduating New York Law School, Daniel immediately opened the doors to his own law office, hoping to change the way solo attorneys are perceived. Since 2007, Daniel has helped sixty VLP bankruptcy clients get back on their feet. Below, he tells us about his entwined journey of starting his own practice and doing pro bono work. DG: I started my practice at the age of 24 in a tiny office in Sheepshead Bay, Brooklyn. I took every case that came in until I honed my skills in Bankruptcy. An instructional video (yes, video) of Greg Messer and David Doyaga (whom I refer to as the Doc Holiday and Wyatt Earp of Bankruptcy) led me on my way. We are now based in New York City and focus on consumer bankruptcy and residential real estate transactions. DG: I wanted to learn Bankruptcy by doing pro bono work. I found the VLP online and the rest was history. DG: It allowed me to learn the law and, just as importantly, the procedure surrounding bankruptcy without constantly worrying about a malpractice suit. More importantly, I’ve actually seen the relief on the faces of my pro bono clients when their case is discharged. You cannot put a price on that. DG: Because I believe we have an obligation to help. Many times we forget the power we have as attorneys to literally transform lives. Pro bono helps one remember that. Get a refund. Totally kidding (maybe). You need to hustle. You need to go out and meet everyone you possibly can and take any job you can in this market. Get experience. Find out what you don’t want to do. Then try something else and find out what you do want to do. Then spend every single moment learning and writing down mistakes. Improve every day. It’s called the “practice” of law for a reason. DG: As I mentioned before, it’s an obligation. People depend on our help. DG: No specific one comes to mind. I can tell you that when people walk out of a meeting of the creditors, this calmness washes over them. I’d take that feeling over a huge client any day. DG: The dedication of the people who work for VLP. Sidney specifically. They’re doing God’s work. Would love to see more like them in our profession. Nazar Khan is a solo practitioner who came to the VLP in 2005 to volunteer his family law services. Since then, he has won several awards from the VLP and other organizations in recognition of his incredible pro bono work. When Mr. Khan first volunteered with the VLP, the VLP promptly started referring Family Court cases to him. He almost never said “no.” In his first eight months of volunteering, he took an astounding fifty-three cases for the VLP and contributed hundreds of hours of pro bono service. He has also served as a mentor for new volunteer attorneys in family law. Below, he answers a few questions about his involvement with the VLP. VLP: Tell us about yourself. How did you first get involved with the Brooklyn VLP? NK: I graduated from Washburn University School of Law in 2004 and became a member of the New York Bar the next year. Throughout my last year of law school, my mind was preoccupied with ideas of how to contribute and give back to my community that gave me the opportunity to fulfill my dream of becoming an attorney. I grew up in Flushing, Queens and went to Queens College in Flushing, but went to law school in Kansas! So naturally, when I graduated from law school, I rushed back home and searched for organizations that served the underprivileged in the community. Initially I did some work with Mark Weliky of the Queens Bar Association VLP but then reached out to Jeannie Costello of the Brooklyn VLP. VLP: What types of matters have you handled at the VLP? NK: I started doing pro bono cases for the VLP in 2005. By the end of 2007, I had done well over 50 cases and donated more than 1,000 hours. The cases involved child support, custody/visitation, guardianships, orders of protection, and matrimonial cases. NK: Back in the day, the VLP had a policy not to get involved with contested matrimonial cases. But when I started doing matrimonial cases, some clients left such a great impression on me that I made an exception to the rule. I did several contested cases on a pro bono basis. My VLP volunteer work was so gratifying that I decided to serve the low-income community in my own practice. I applied to the assigned counsel 18b panel and am still working and serving indigent litigants of Brooklyn. Anna Yasova graduated in 2014 from New York Law School, and initially came to the VLP to complete the required 50 hours of pro bono for admission to the New York Bar. Because of her prior background in uncontested divorce and consumer law, we felt comfortable assigning her clients in these areas. She efficiently began resolving both matrimonial and consumer debt matters with ease and patience. Anna soon took on several clients at a time, far exceeding her required hours. We are thrilled she found the VLP as she has become a regular presence at the VLP office. She is fluent in Russian and has donated her time translating for VLP cases and assisted Russian-speaking clients on a pro bono basis. Below, she discusses the learning process after obtaining her JD, the importance of passion in any field, and the humility pro bono work brings. AY: I am a recently admitted attorney beginning my practice in family, immigration, and business law. AY: I first learned about the VLP through the NYLS Office of Career Planning while looking for an organization through which I could complete my pro bono requirement. AY: Volunteering with the VLP taught me to manage my own caseload and has given me a wonderful group of attorneys I can turn to when I need assistance. It also has given me opportunities to obtain additional professional training from area experts. AY: After a short time with the VLP I came to truly appreciate pro bono service and the people I volunteer alongside. The people we assist cannot afford to pay an attorney and rely on us to help them navigate difficult situations. I have seen the consequences of a client’s attempt to resolve legal issues by relying on advice from friends or associates not involved in legal practice and want to help keep other people from those same pitfalls. I enjoy putting my legal and language skills at the disposal of those who need it. AY: The best advice I can offer law students and recent graduates is to find an area of law that really inspires them when choosing specialty. The most important steps we can take in the early stages of our careers are to lay a solid foundation for a practice that will keep us interested and engaged and to develop a support network we can rely on for guidance. AY: As a law student or lawyer it’s easy to take our knowledge for granted, assuming that if something seems straightforward to us, it will appear that way to everyone. In truth it is our training and experience that allow us to navigate through an often intricate legal process. Without dedicated volunteers many of those most in need of assistance can be taken advantage of or find themselves trapped in situations they can’t resolve on their own. AY: A number of my cases involved divorces where the marriages had broken down years ago. A surprising number of these cases involved parties that had separated over a decade ago, but were unable to move on with their lives and relationships because they weren’t able to afford an attorney. Helping clients move on is also a large part of volunteering with CLARO, where I was able to help a number of older client’s stop collections activity against them so they could have peace of mind and a clear conscience for their retirement. AY: My experience at the VLP has taught me the importance of looking beyond the legal issue to the person its affecting. Knowing that clients have confidence in my skills and value my advice enough to contact me for help with other issues has truly meant the most to me.